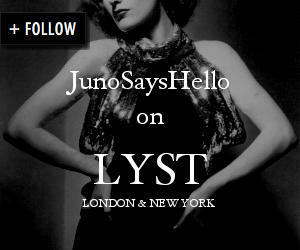 September starts with a big bang: a stunning new collection of luxury vintage dresses from Juno Says Hello. Check out our dedicated link here. Model Emma Rice wears our Lola dress, available to buy here. My new column for The Collective Review..
Minxy TV chef Gizzi Erskine gives us a mention!